Embassy Suites. Did you happen to notice our newer Clear Cover Badges ? You get a marvelous look and added scratch resistance. These offer a newer more futuristic look. 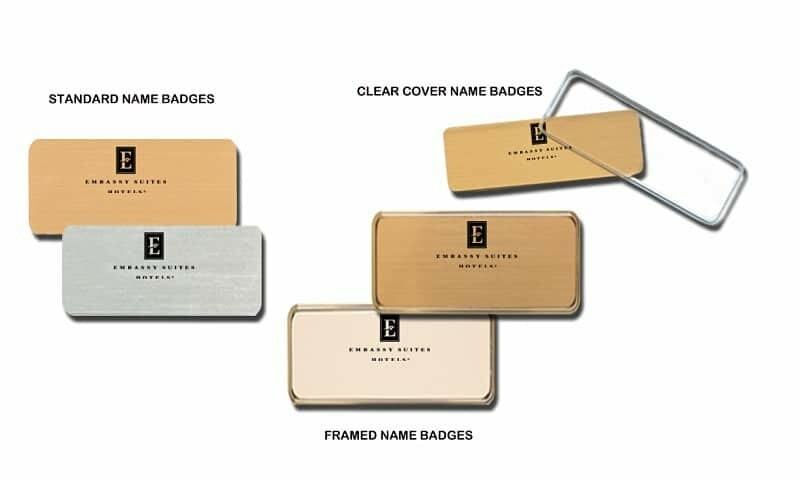 These are samples of logo name badges we’ve done for Embassy Suites. By name-badges.com Inc.